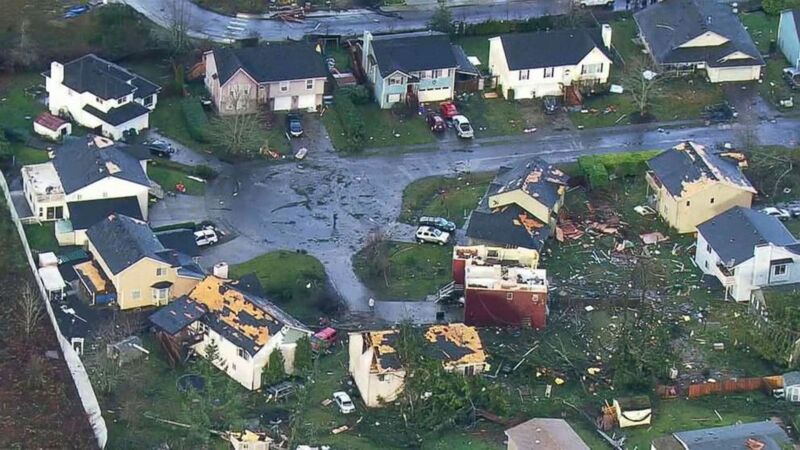 A massive tornado that ripped through Washington state left a path of destruction in its wake, videos and images posted to social media show. The National Weather Service confirmed the tornado based on the radar and video evidence, it said, adding that the tornado touched down just before 2 p.m. local time. A number of businesses and homes were damaged, Mark Dorsey, director of public works in Port Orchard, told ABC News. 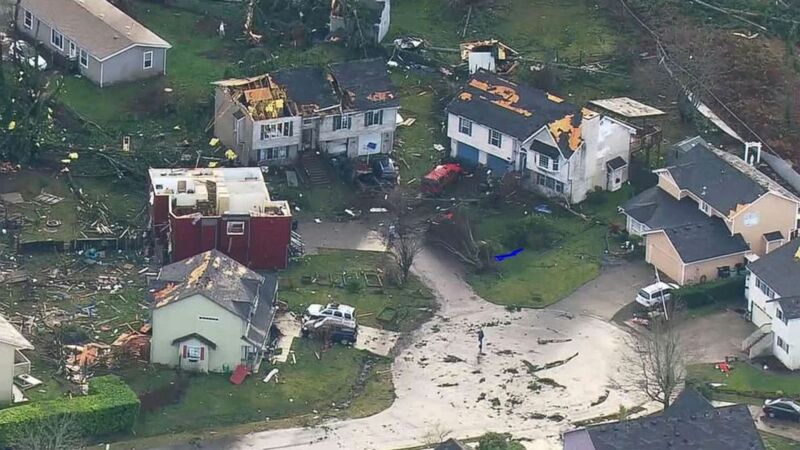 Several buildings were destroyed in Port Orchard as a result of a tornado, Dec. 18, 2018, city officials tell ABC News. In one video taken in the doorway of a Safeway grocery store, witnesses are heard expressing shock as they watch a huge funnel cloud wreak havoc in the distance. “There’s like debris everywhere,” the person behind the camera said, adding that she was scared. “This doesn’t happen here,” he said. ABC News’ Fergal Gallagher, Melissa Griffin and Alyssa Pone contributed to this report.